The British Gazette » Looking forward to the inevitable: No Brexit. In 1922 my granddad sold his farm outside Honiton (the one in Devon, not the one in South Australia) and retired – a Cornishman, he had owned a farm outside Callington in Cornwall (again, not the one in South Australia), but had moved. Upon presenting the auctioneer’s cheque at the bank (Lloyds) the manager invited him into the office so he could personally handle the transaction – and also question (politely) granddad if he had any plans as to what to do with the money. The bank manager suggested that granddad purchase shares in Lloyds bank to provide a retirement income. Granddad did so, although he did not put all the money into Lloyds. Nevertheless, granddad’s shareholding in Lloyds was considerable and provided him with a good income. Thirty years later in 1952, Granddad died and the shares went into a trust. The shares themselves were bequeathed in two equal lots to granddad’s two sons (my Dad and my uncle) but the dividend income was directed to be paid to my maiden aunt (who was disabled) for the duration of her lifetime. Upon my maiden aunt’s decease, Dad and my uncle came into possession of the dividend income the shares produced. This happened in 1983 when my maiden aunt died. Ten years later in 1993, I suggested to Dad that he consider selling most of the Lloyds bank shares and to use the proceeds to purchase shares in a UK oriented income investment trust to spread the risk. Dad was not keen as he regarded Lloyds as a very safe bet and that the income was very good. However, Mum (as women do) nagged and eventually he agreed – grudgingly – and sold (over a period of three years to avoid CGT) the majority of the Lloyds shares and the proceeds were reinvested a suitable investment trust. The resulting dividend income was more or less the same. Dad died in 2003 and I inherited the Lloyds bank shares that remained. Five years later (2008) the financial crisis hit and we all know what happened to the Lloyds Bank shares! Since that time I have added to the shares as I regard the Lloyds Bank Group PLC under the strong and stable leadership of it’s Chief Executive, António Horta Osório, as a good long term dividend investment. Yesterday, I purchased a small parcel of Lloyds shares at around 55 pence per share. They’ll probably drop more but I’m not worried. This is because Lloyds is sound and when the prospect of Brexit goes away, Lloyds share price will boom. 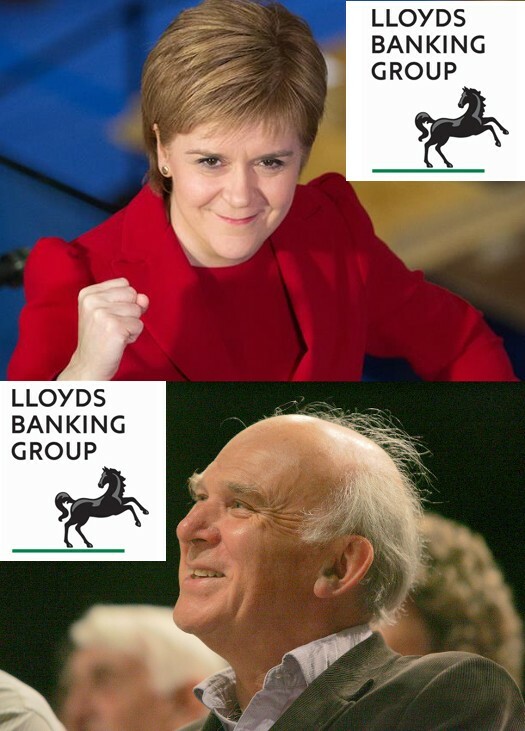 Since the number of Lloyds shareholders numbers over a million there will be many smiling faces. - Such as Frau Merkel makes it clear that the deal is the deal and cannot be re-negotiated. - Labour, the SNP, the DUP, and “Ultra” Tories vote down the deal in the Commons each for their own (some conflicting) reasons. - The misnamed European Court of Justice (it is not a court and it does not dispense justice – but it is European) decrees that the UK has the sole competence, without regard to the EU or it’s members, to revoke it’s Article 50 withdrawal notice, but this must be in line with the UK’s own constitutional provisions – which means an Act repealing the A50 withdrawal Act. - Faced with the catastrophic prospect of a crash Brexit, the Remainers in the Commons mobilise their resources and force a second referendum, suspending aspects of Election Law that would prevent the referendum being held before Brexit Day. - the second referendum is held and a majority (possibly greater than 52%) vote to Remain vote to cancel Brexit. The sardonic irony of this will be that the one set of fools who will gain from this will be such as Kippers (including Moi!) and the Moggites who will have been spared witnessing the results of their own folly – advocating a crash Brexit (not that I have ever advocated such)!